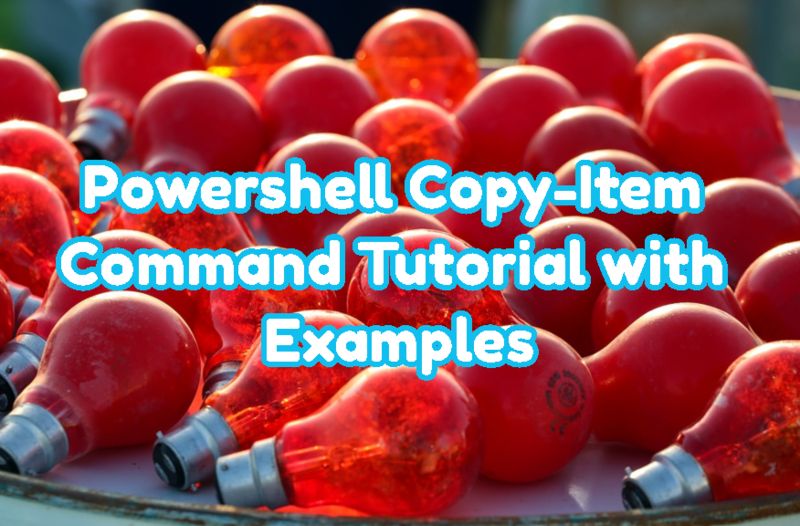 Powershell provides Copy-Item cmdlet to copy an item from one location to another location. This item can be a file, folder or directory. Copy-Item cmdlet provides different features and options like overwrite, filter, exclude, verbose, progress etc. In this tutorial, we will learn these features by examples. We will start with a simple example where we will copy given file to the specified directory. We will use just provide the source file and destination file names with their paths. We can also use the -Destination option to specify the destination like below. We can also copy directory and its contents to the specified or destination directory by using -Recurse option. Recurse option will copy all sub files and folders of the given source directory to the destination directory. We can also copy local folders and directories to the remote server or system. We will also use -ComputerName options like the previous example. We will also supply the -Recurse option in order to copy sub folders and directories. We can also copy the remote files from the remote server to the local system. We will create a session with the remote system with the New-PSSession cmdlet and use this session with the -ToSession option. In this example, we will copy from server named DC1. $Sessions=New-PSSession -ComputerName "DC1" -Credential "Poftut\ismail"
We can also copy remote server directories recursively to the local system. We will use very similar command from the previous example. We will just provide the -Recurse option. If there is same file or folder in the destination it will not be copied. If we want to copy even destination file or folder exist we need to force it with overwrite option. We will use -Force option in order to overwrite. While copying files and folders we can filter them. If we do not want to copy specified file name. We can filter copied files according to their extensions. We will also use -Exclude or -Include options and provide the extension like .txt , .sql etc. In this example, we will filter and only copy txt files. PS> Copy-Item .\config.sys test.sys -Include "*.txt"
We can also exclude specified files with the -Exclude option. We will provide some part of the file name. In this example we will exclude file names starting with the Sql. PS> Copy-Item .\config.sys test.sys -Exclude "Sql*"
During copy operation, we may need more information about the operation. We can print in verbose mode the copy operation with the -Verbose option.